Medical tourism is the act of a patient traveling abroad for a medical procedure. Traditionally, health tourism involved patients in less developed or developing countries traveling to the United States and Canada for procedures that they could not get in their own countries. However, things have changed now. Doctors in developing countries are now well trained and able to offer proper care for less. For instance, a huge percentage of doctors in Costa Rica have received their training in the US. Moreover, the standard of medical services and facilities has also greatly improved in such countries. Costa Rica is one of the best known countries for medical tourism. It is renowned for good dental care and plastic surgery procedures. Being close to the US and with rising costs for healthcare in the US, Costa Rica was well positioned to offering affordable healthcare. This is what initially led to the boom of medical tourism in Costa Rica back in the 80s. Over the years, more doctors in Costa Rica have been trained in the US and other developed countries and the medical standards have been improved significantly. This is what has led to the upheaval in medical tourism in Costa Rica. In the last three years, health tourism has shown a sustained growth, 2017 alone saw an increase of 5% more tourists than was registered in 2016. This year is no different either, with the first quarter already registering a 6% growth as compared to the first quarter of 2017. This means over 21,000 more tourists have come to Costa Rica this quarter. With figures like these, it is no doubt that the year will end with a boom in the numbers. The tourists in the Costa Rica are now drawn from all over the US, Canada, Australia, UK and other countries. The main medical procedure that brings most health tourists to Costa Rica is dental care, accounting for 42% of all the tourists. The most sought after dentistry procedures in Costa Rica are implants, veneers, dentures, bridges and crowns. Another highly sought after procedure in Costa Rica is plastic or cosmetic surgery. Plastic surgeons in Costa Rica offer all types of cosmetic surgery procedures and also reconstructive surgery. General surgeons and orthopedic surgeons are also in high demand. Their most sought after procedures are gastric bypass, gastric sleeve and hip, knee and shoulder replacements for the orthopedic surgeons. Dermatology procedures like laser removals are also in high demand and highly affordable in Costa Rica as opposed to the US. The one major reason why people come to Costa Rica is to save money without compromising on the quality of medical care. Some of the procedures that cost a couple thousand dollars in the US, cost less than a thousand dollars in Costa Rica. To get the most of their visits, most patients are known to combine several procedures together where it is possible. 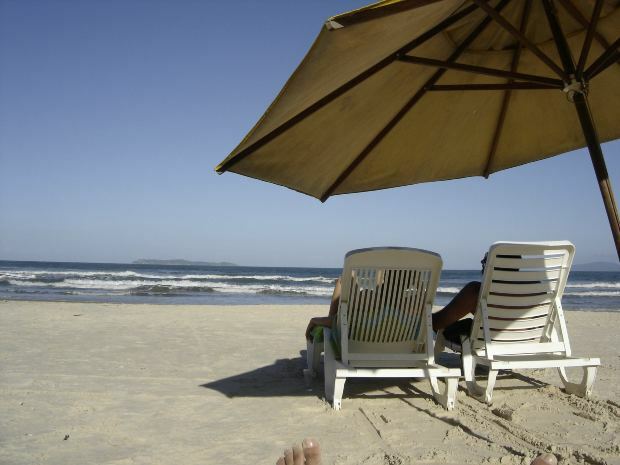 Recovery and touring Costa Rica after the medical procedure is also very affordable. Hotels, food and transportation is cheap making your stay affordable. Currently, a dental crown costs from $1,200 in the US while you only pay $350 in Costa Rica. A veneer costs around $1,245, while at Costa Rica you pay about $430. 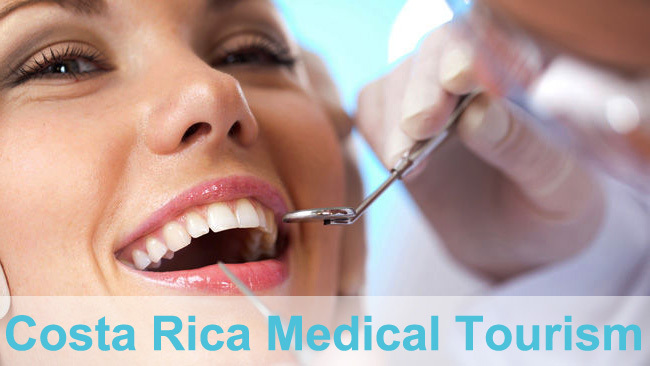 A root canal costs from $1275 and if you have it done at Costa Rica you will pay about $450. These aren’t the only procedures that will give you major savings. Generally, while seeking medical care in Costa Rica, expect to see savings of anywhere from 40% – 70%, sometimes even higher. Just like anywhere else, all the doctors in Costa Rica are not the same. You should therefore do the required due diligence to ensure that you choose the very best for the needs that you have. Your search should start in online directories and websites that list doctors. Such websites include Hulihealth, Board of doctors and board of dentists. When you find a doctor that offers specializes in the service that you need, then you can go ahead and contact them. You should ask all the pertinent questions that will put your mind at ease. Ask of what services they offer, their qualifications, what the procedure will be like, the recovery period and everything else you deem important. When you have settled on a doctor then you can make an appointment. According to experts, there will be increased medical tourism in Costa Rica because it has not reached its potential yet. With the high medical standards, well trained doctors and quality facilities like hospital Clinica Biblica, Clinica UNIBE, Hospital La Catolica and private clinics, Costa Rica will continue offering exceptional and affordable medical services. While on recovery, patients can also relax and enjoy the scenery in Costa Rica since it is a very beautiful country. So you are planning on your next vacation and you are thinking of the best possible destination. If you are yet to make up your mind, Costa Rica won’t be such a bad place to spend quality time with friends and/or family. Probably the best vacation spot in recent times, Costa Rica boasts of attracting thousands of travelers every year due to its beautiful natural attractions, its people, and of course, a relatively inexpensive cost of living. 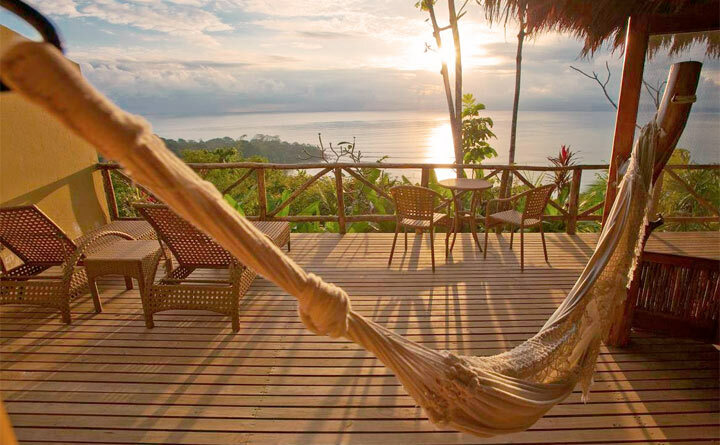 Accommodations are a huge consideration for any traveler, and Costa Rica is not an exception. Lodging options in Costa Rica are as diverse as its landscape. Whatever your preference is, there is always a lodging option that matches your requirements. One interesting lodging option available for travelers, especially for those nature lovers that will like to experience Costa Rica nature at its best, is an eco-lodge. Costa Rica eco-lodges allows travelers to stay close to nature with spot wildlife like monkeys, toucans, and sloths available for the viewing and fun pleasure of lodgers. Imagine yourself enjoying Costa Rica’s exuberant flora and fauna while having a delicious cup of organically grown Costa Rican coffee or hot chocolate made from indigenously grown cacao… all of this at the comfort of your eco-lodge room. One thing about eco-lodges is that they are ideal for almost every type of traveler, such as couples, family vacationers, bird watchers and students. Costa Rica also offers top of the line luxury hotels and resorts. These types of accommodations are mainly for travelers that want to experience the wonders of Costa Rica while staying at a full luxurious hotel where high quality personalized service is guaranteed. 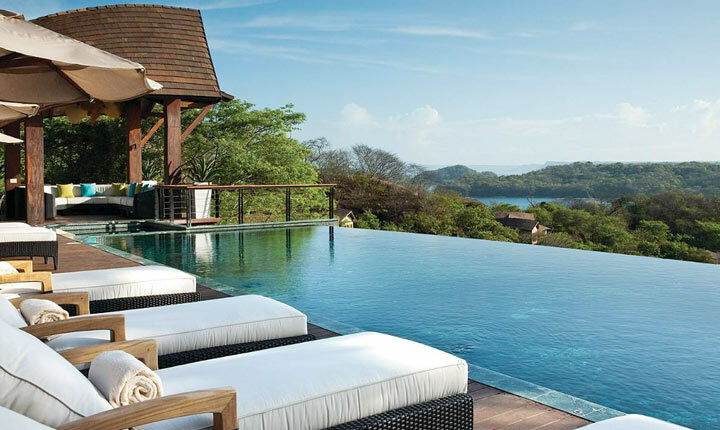 One example of this type of resort is the Four Seasons at Peninsula de Papagayo, this hotel is a common pick for luxury travelers largely due to such features as a world-class spa and a designer golf course. With other amenities and facilities like awesome on-site gourmet restaurants and diligent staff, it is no wonder it maintains the top position as one of one the best luxurious 5 star resorts in Costa Rica. 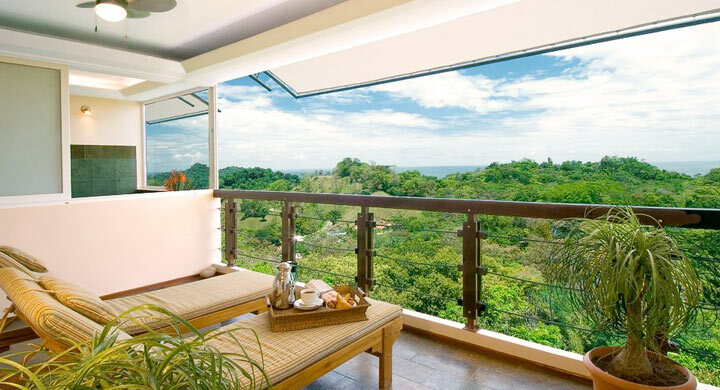 There are also non-chain branded hotels, most of them are boutique hotels that offers even more personalized service, one example of the few top Costa Rica luxury hotels (non-chain branded) is Gaia, which is located in famous Manuel Antonio beach. For the prudent tourist that looks to spend less on accommodation during a vacation in Costa Rica, there are budget hotels and hostels especially in San Jose downtown. With little money come some few considerations. For obvious reasons, with this accommodation option travelers cannot expect much comfort. It is always advisable to make reservations some days before the arrival mainly on the high season as most hotels are sold out. If you have the choice of traveling during Costa Rica’s green season you are likely to find better hotel deals. With prices ranging from $75 a night plus breakfast to $500 per night for luxury resorts, tourists are sure to get quality and affordable lodging that will not necessarily put a hole in their pockets. Costa Rica is among the premier destinations in the world to go surfing. Made popular by the thrilling movie, “Endless Summer 2”, Tamarindo and its surrounding is one of the fascinating places for surfing in Costa Rica. Ideally, this stunning surfing destination in Costa Rica has a surf school that provides surf lessons. Surf lessons in Tamarindo Costa Rica commence on the beach with a few theories and practices on the right position and movements one has to use while on the board. After this, the instructors direct you into the water where you actually begin the surfing lessons. In most surfing schools, the surfing instructions take 2 hours for group lessons while for a private lesson; it takes approximately 1 and 1/2 hours. A Tamarindo surf school ensures that the ratio of the group lesson students to teachers is low (normally, a maximum of five students per instructor) for best results. The school also ensures that each student has one instructor for the private lesson. You can take as many lessons as you desire to improve your surfing skills. The prices vary depending on the surf school you choose and on one’s category; for instance, a group lesson taking 2 hours with a maximum of five students, a fee of US $ 45 is charged but the internet price can be lower $40. On the other hand a private lesson having a single student, costs around $65 to $100. It is vital to note that typically for most surf schools, the discounts for internet price are only available for reservations made in advance via email. Three-Day Course is recommended for an individual who wishes to improve their surfing skills or are after learning the basics of surfing. This surf course includes three full immersion days with one private lesson per day as well as the use of a surfboard throughout the learning period. At the end of this course, you should be in a position of turning and riding waves. This course can cost around US $ 210. This course is ideal for those who have plans of running away from the day-to-day rush and are looking forward to enjoying nature, surfing and relaxing. Its package consists of four full immersion days with one 2-hour private lesson each day for the first three days as well as the use of a surfboard for the entire learning period. The 4th day is a surf trip day where, along with your instructor, you will visit one of the popular surf spots like Playa Langosta, Playa Grande or Playa Avellanas. Lessons of this course depend on the surf conditions and are scheduled either in the morning or in the afternoon. The cost for this surf course is US $ 390. This course is primarily set for individuals who would like to develop memories with various outstanding surf spots in Costa Rica. It consists of five full immersion days with one 2-hour private lesson every day for the first three days, and the use of a surfboard for the entire learning period. The 4th and 5th days are surf trip days where, along with your instructor, will take two surf trips to one of the nearby popular surf spots. This course charges a fee of US $ 570. From its smoking volcanoes, palm fringed beaches and white water rapids, to its lush rainforests, friendly locals, and easy-going vibe, Costa Rica truly embodies its motto, ‘Pura Vida’, the pure life. A bit of everything you could possibly want…. In my opinion, if you’re deciding where to vacation, then look no further; this diminutive country sums up all the best that Central America has to offer. Whether you’re looking for an adventure filled time, with world-class surfing and diving, and amazing treks through breath taking scenery, or lazy days spent basking on the beach, you’ll find your holiday paradise in Cost Rica. With the highest quality of living in Central America, it really is the jewel in the crown. But where should I stay? Choosing where to stay isn’t always the easiest of tasks, but it needn’t be difficult. The options are boundless: there are hotels, eco-lodges, camp sites, and hostels galore. But if you really want to experience the beauty of this country and its way of life, plump for a villa or a condo. You’ll be able to experience what’s on offer in the privacy of your own space. These villas and condos offer all you could need in accommodation, be it for business or pleasure, long or short-term. What could be better than to wake up to an azure sky, have a leisurely breakfast on your private balcony in the morning sun, and enjoy the splendid view across a private golf course. Follow this up with a day spent exploring the exciting and beautiful sights on offer, and return to your room to spruce up for a dinner at a local restaurant, just minutes’ walk from your villa. Who knows, you might even want to stay! A friend of mine visited Costa Rica a few months ago, and decided to do just that. Luckily, he was staying with a really helpful local company, Costa Rica villa rentals by http://villasdecariari.com/, whose comfortable, affordable accommodation and idyllic surroundings persuaded him not to return home. They also offered him great advice on his relocation, and put him in touch with local banks and real estate agents, and fixed him up in no time at all. So for what it’s worth, here’s my advice: don’t hesitate. Leave behind the bustle of the city and dip into turquoise sea, wiggle your toes in the white sand and sit in splendid peace with a backdrop of crimson sunsets and verdant rainforests. Costa Rica is rich in attractive places that draw vacationers to the country for a short tour or long-term stay. Here are some attractions that warrant booking Costa Rica vacation packages for you as well as your entire family. Arenal Volcano area is a top destination that used to be one of the most active volcanoes in the country. It has a great cone shape that is not often seen in other volcanoes. Its rich flora and fauna is so beautiful that it attracts a lot of people to tour it as well as its surroundings. Aside from the volcano itself, tourists also visit the Hot Springs that promote relaxation. Tortuguero is famed, not only for its extremely green surroundings, but as a breeding ground of marine turtles. The place is known for being the breeding ground of eight marine turtle species, a unique of its kind across the world. Being a marine species habitat, Tortuguero National Park has lovely bodies of waters like long rivers and lagoons. Aside from turtles, this site is also known for visiting West Indian manatee, an endangered manatee species. The National Theatre of Costa Rica is one of the historic performing arts places in the country. It was constructed in 1891 and opened its stage to the public in 1897. It has regular orchestra performances and other performances that have been visited by many tourists, especially those who are interested in performing arts. This Attraction is known for showcasing Pre-Columbian gold artifacts that have been unearthed thousands of years back. Many of these artifacts were obtained in 500 AD. It also houses the Media Escudo, the country’s first coin minted in 1825. Other gold figures are also seen in the museum and a great place to visit for history lovers. There are many tour packages available in visiting the country. Look for the types of trips that attract your interest and book them online. Take note to book them early to save more money from your tour. Visiting the country by booking vacation packages is one of the best trip you will experience. Go online and look for the right packages and see if there are promos available for you to save money. Book with a reliable tour provider to ensure you will reach these places and enjoy the activities without overspending on your tour. Manuel Antonio, Costa Rica still remains to be one of the world’s great destination for holidays, travels and leisure with many people visiting the place to enjoy broad, charitable and wholesome views. It is actually a place to enjoy the gladdest moment in your life and impart a new vigor into your mind. There are many hotels and resorts in Manuel Antonio to stay and enjoy great moments during your travel, leisure or holiday. If you are looking for a specific great place where you can enjoy the pleasantest sensations in the world and magnify your emotions then look no more! 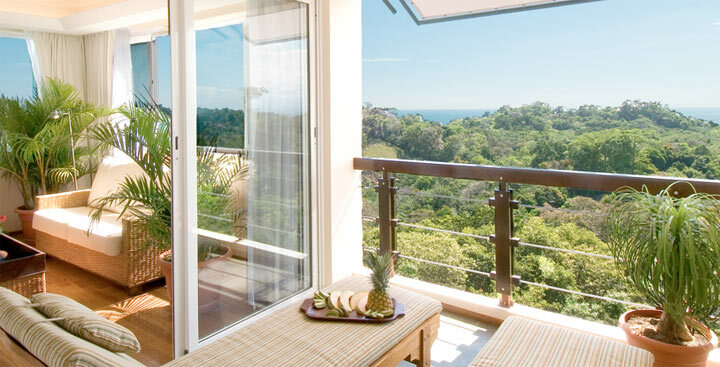 The Preserve at Los Altos one of the top Manuel Antonio Hotels and Resorts is the place. Here, you not only enjoy luxury, but also save your money, get affordable deals, smart discount rates and the best price. In short, you are assured of getting all your travel needs. In the hotel, you will enjoy great services like in-room childcare if you traveled with your kids, concierge services, best 24-hour dry cleaning/ laundry services and tours assistance. In addition, there are great facilities like building towers, elevators and nice smoking areas. For food and drinks, you will for instance enjoy full breakfast daily and there are restaurants and bar/lounge too. In the room, you will enjoy cool entertainment, sleep well, freshen up in the bathrooms and showers and there is in-room massage too. Free wifi is of course available and premium TV channels. You will indeed stuff your vigilant and curious eyes with unending wonder. 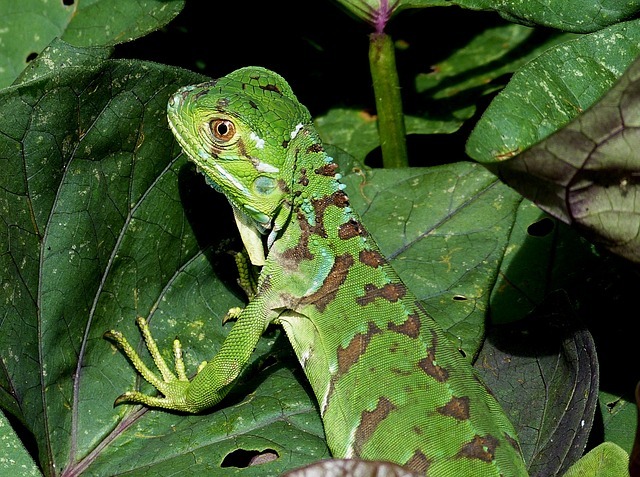 For years, The Preserve has continued to remain competitive in the list of great destinations in Manuel Antonio with many tourists and travelers discovering themselves and their worlds there. It is known for all the good reasons. Making reservations and entering your travel dates for this destination is easy and above all, you get all your details and specifications in the reservation confirmation you receive after booking. Go ahead now and enter your travel dates to enjoy life in this amazing Preserve at Los Altos. You will indeed get you happiest moment you have been dreaming of. Remember that this world is like a book and if you do not travel, you are just reading one side of this amazing book. Life begins at that zone where your comfort ends and nobody will discover the world for you. Take a step today and discover your world in this great destination in Manuel Antonio, Costa Rica. For many couples, planning the honeymoon is usually the hardest job. This is because there is so much they want to do together but do not know where to start or where to get the ideal getaway to help them bring the dream honeymoon to reality. Costa Rica for many years has been the perfect destination for just married couples who want to start their new life on a high note. It has the best romantic getaways, ambiance and people to make any couple feel special and appreciated. Cala Luna Luxury Boutique Hotel & Villas is one of the finest destinations for lovebirds who have just tied the note. From the minute you check into the hotel, you will realize that you made the right choice. This is from the romantic set up, the quite and relaxing surroundings, friendly hotel staff and the cool outdoors. Whether you are a fun of nature and exploring, this is the place to be. You can spend days walking hand in hand on the white sandy beaches or sail through the pacific in a catamaran where you will enjoy watching the sun setting on the beautiful ocean waves. If you check out Cala Luna’s website, you will note that this hotel is just a few miles from the famous Tamarindo town. You can sample the town life in the evenings shopping and enjoying the cool breeze by the ocean. 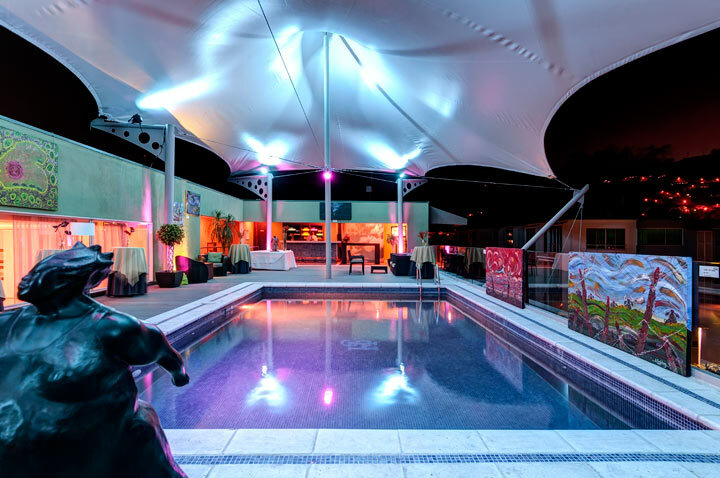 If you prefer an exclusive indoors stay at the hotel, you will not be disappointed. There is a lot to keep you pampered and relaxed. From the expert massages, to the famous Cala Luna cocktails by the poolside as you watch monkeys and birds hop from tree to tree, life here is just heavenly. To nurture your excited taste buds, the hotel chef makes sure that his best dishes and delicacies are served according to your individual tastes and preferences. If you enjoy waking up to the sound of birds singing, this is the place to be. In the evenings, you can enjoy assumptions gourmet meals outdoors where you can sample local fish and other delicacies. Enjoy sampling the many top of the range wines found in the hotel as you bond with your significant other by the poolside, or under the indigenous trees along the beautiful white beaches. As you start your new journey as husband and wife, Costa Rica makes the start a memorable and enjoyable experience lived through over the years. Costa Rica remains one of the top destinations for travelers looking to spend quality time with friends and family in a serene yet fun environment. And with great hotels, it is lots of excitement with good accommodation. The list below discusses some the top 5 hotels in Costa Rica and the features that make them distinct. With several awards and accolades from stakeholders in the hospitality and travel industries, the Nayara hotel is a top class hotel for travelers wanting a fun time in a beautiful environment. It is located in the area if the Arenal Volcano National Park and being a 5-star hotel with great service and delicious cuisine that will always have you asking for more, it is regarded as one of the best romantic getaway spots in the world. There are several fun activities available that make Nayara hotel one of the best in Costa Rica. This destination continues with the Eco-adventure tradition that has become synonymous with Costa Rica with different amazing adventures awaiting any customer. After a decade of providing quality service to visitors from all over the world, the Four Seasons Resort boasts of being home to spacious accommodations, a spa, restaurants with delicious local cuisines, and of course, diligent staff without forgetting Eco-adventure activities. This beautiful Costa Rican beach boutique hotel offers great hospitality service and blends it with perfect luxurious architectural design that will leave long lasting memories in your head. With packages designed to meet your preferences whatever they may be, you are sure to leave this facility satisfied with every second and penny spent. This can be described as experiencing wildlife in luxury. Located in a vast haven of lowland forests, Gaia Boutique Hotel and Reserve allows guests to enjoy the sounds and sights and beautiful nature of Costa Rica. The 5-star resort perfectly brings modern amenities and nature together for the enjoyment of guests and visitors. This luxury hotel offers the perfect setting for enjoying an exclusive romantic getaway. Services include gym, pool, restaurant, luxury spa, and of course, 24/7 room service. This hotel brings out the art in traveling and completes our list of top 5 luxury hotels in Costa Rica. It is 5-star hotel with spacious and comfortable rooms ensuring you get a good night sleep especially after an eventful day. 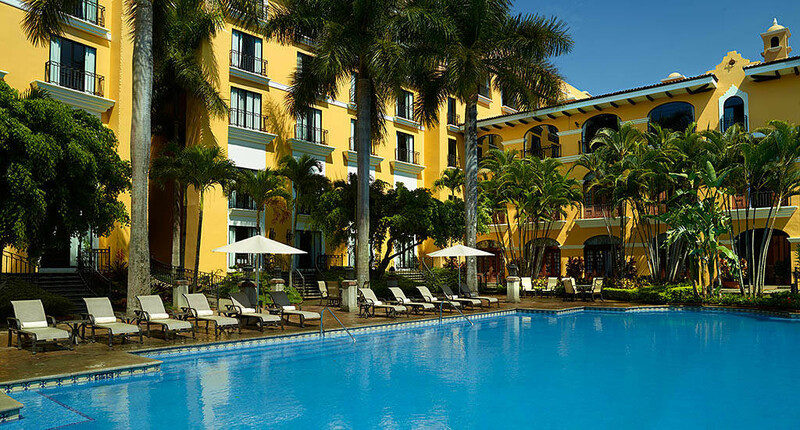 This Costa Rica luxury hotel is centrally located to make sure you only spend minutes to major places like shopping centers, the international airport, and medical centers. The hotel overlooks the Central Valley’s western mountains giving you a beautiful sunset sight. 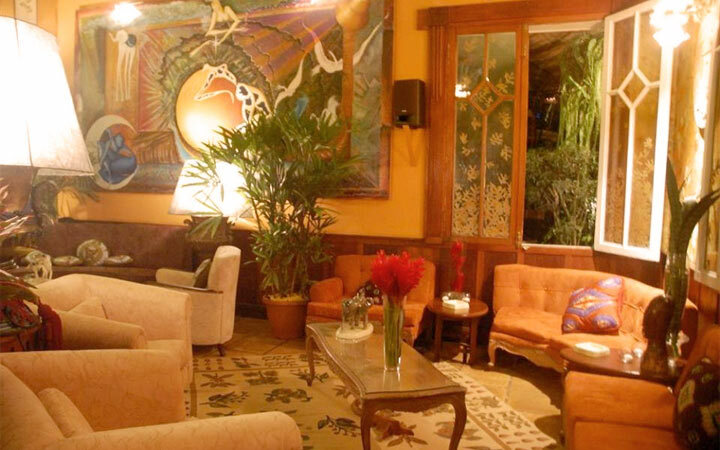 The art in the hotel comes from the collection of private arts that surrounds guests in an uncommon environment. Traveling is fun and a trip to Costa Rica and subsequent lodging in any of these hotels can only substantiate this.